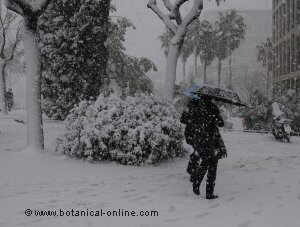 1.7 Why do tropical plants contain so many active principles? 1.9 What are the active principles of plants? 1.10 Where are the active principles of the medicinal plants placed? The history of medicinal plants has its origin in time immemorial, in which these natural resources have been used to treat numerous health ailments. One of the oldest vestiges of medicine with herbs are the caves of Shanidar (Iraq), more than 60,000 years ago. 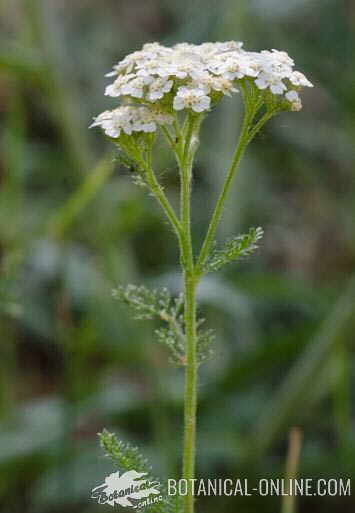 In this place, remains of plants that could have been selected for medicinal purposes were found, such as the yarrow (Achillea millefolium). It may be that in times past, this natural medicine was considered something magical, religious or spiritual. 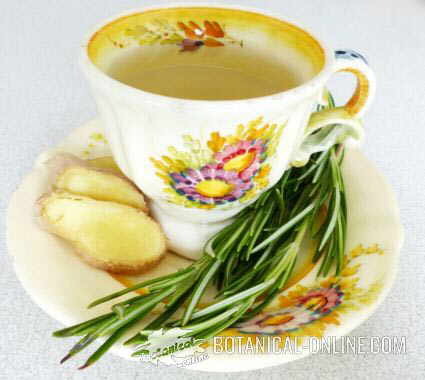 Not so many years ago, before the existence of medicines and pharmacies, doctors have always used natural treatments, based on infusions with medicinal plants and other recipes of homemade preparations (baths, ointments, tinctures, vapors, etc. ), as main healing resource. At present, the effect of these plant substances, which are so useful to cure and improve many symptoms and diseases, is scientifically, empirically and molecularly known. Phytotherapy or medicine with plants is the science that collects this traditional and modern knowledge of plants in order to offer their benefits in an appropriate and safe way. Modern medicine owes to tradition the possibility of knowing plants. The medicinal principles were isolated and were investigated because of plant tradition. Among the most popular example, we can mention the case of aspirin. The bark of white willow (Salix alba) was already used in China over 2500 years ago to reduce fever and relieve pain. References about this plant appear in the work of Hippocrates (400 BC.) who recommended it for the same disorders. Dioscorides (40 – 90 AD) added a new use and advise on the treatment of arthritic pain. The use of this remedy leaves no traces in the Middle Ages. 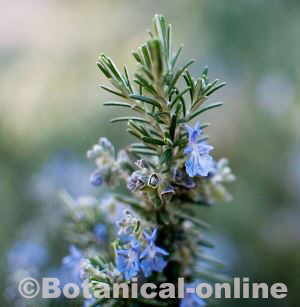 In 1763 Edward Stone, an English clergyman, wrote to the Royal Society on the importance of this plant in pain relief. 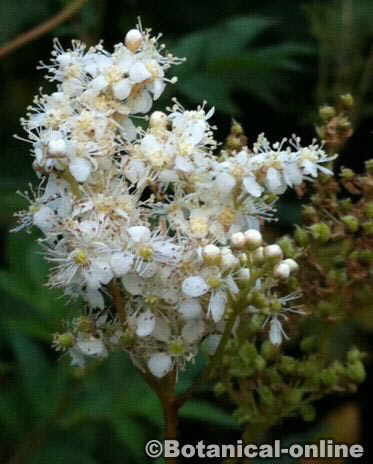 In 1835 the German chemist Karl Jakob Lowig discovered that one plant produced the same results: meadowsweet (Spiraea ulmaria = Filipendula ulmaria) contained the same principle that white willow: salicylic acid. It was not until 1893 that Felix Hoffman synthesized the derivative of this principle trying to alleviate the side effects produced by salicylic acid in the stomach of his father who used it to relieve his arthritis. Aspirin, acetylsalicylic acid, a derivative of salicylic acid is the most common analgesic and the most used and best selling to date. It was the traditional knowledge of the properties of willow which led to further scientific research that has permitted the production of aspirin. Besides aspirin, another series of very important principles were discovered researching the use of certain plants that traditional cultures made in different continents since ancient times. An estimated 120 pharmaceutical products are directly derived from medicinal plants. It is also believed that 25% of current drugs contain some principle derived in the past or derived directly from medicinal plants. In particular, the contribution of tropical forests in the discovery of new drugs has to be remarked, to the point that 75% of medicines derive from plants that can be found in these forests. Why do tropical plants contain so many active principles? The explanation of this fact lies not only in the extremely rich vegetation of this biotope, but to the fact that this is where the plants have to develop major defense mechanisms against their many predators (viruses, fungi, insects, higher animals, herbivores). As examples of potent tropical medicinal plants we have ginger, cinnamon, turmeric, greater galangal, pepper or clove. 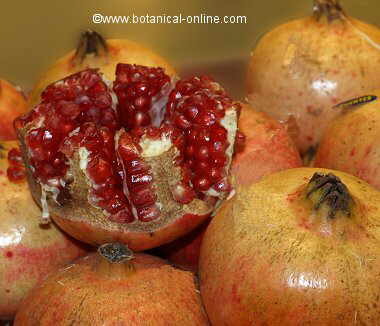 Tropical plants, being so rich in phytochemicals, have very powerful effects. 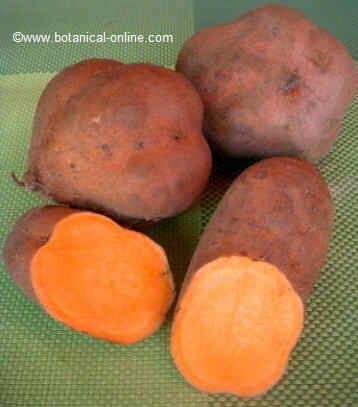 Therefore, used in very little quantity, they already have notorious effects (both to give color or flavor to the food, as well as for the medicinal properties they have). It is struggle for survival, along with the development of certain colors, aromas, etc. designed to attract the attention of pollinators or seed dispersal, what has led to the development of an entire chemical arsenal in the tropical forest plants. Modern medicine is based on clinical testing. Clinical experimentation has managed to clarify the validity of those plants that had been being used under a traditional basis of trial and error. Many of them proved to be valid, others proved to be harmless, others potentially dangerous. Modern biochemical assays have been able to determine which are the main components of the so-called active principles of medicinal plants. The capacity of the modern chemical industry to produce these principles without the aid of the plants does not suppose to deny the importance that medicinal plants have had in the past and will have in the future. Currently, 75% of medicines used for cancer are of plant origin and 69% of antimicrobial drugs (antibiotics, antifungals, antiparasitics and antivirals), are inspired or extracted from plants. 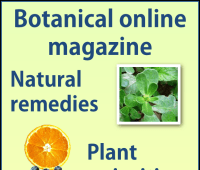 The use of medicinal plants through the knowledge of plants is appropriate in certain situations in which herbal medicine is presented as a more natural, effective and safe method than medicines. Thus, the use of plants can be a better alternative to certain treatments, because they generally have fewer side effects. What are the active principles of plants? The active principles or medicinal principles of plants are substances found in plants that exert a physiological or nutritive function in the body. They are purified components of a plant, which have studied and scientifically proven therapeutic functions. 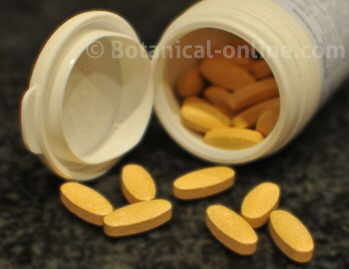 Photo of tablets of medicinal plants. For example, the active principle of pineapple is bromelain, an enzyme with a very clear physiological action: its digestive capacity to break down proteins, which is recommended in cases of slow digestion. In addition, studies have shown that it may have other properties, due to its anti-inflammatory effect. In some cases, plants do not have a single active ingredient. This is the case of echinacea, whose effect is due to the combination between its flavonoids and alkaloids, and not to these isolated compounds. We can also mention the case of turmeric, whose active ingredients, the curcuminoids, at the intestinal level are better absorbed when combined with piperine, the active principle of pepper, being highly recommended the combination of black pepper with turmeric. 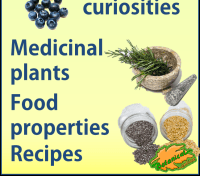 Where are the active principles of the medicinal plants placed? The active ingredients of medicinal plants may occur throughout the plant, but generally, the roots and bark have the highest levels. Flowers, seeds or fruit parts would contain many of them. These principles may vary throughout a species and on plants of the same species according to many factors: time of year, soil characteristics, etc. The stimuli a plant is subjected to is very important to increase the levels of certain components. It has been proved that the administration of certain substances (elicitors or triggers) can increase their proportion. For example, in experiments on willow (Salix alba), the artificial infection of the plant with bacteria produces higher levels of salicylic acid. Principles derived from the secondary metabolism of plants: They are those substances that make plants with different functions, which can be as insecticides, to repel insects, or for unknown reasons. In each vegetable there are different compounds of different structure, and they can be manufactured only in special conditions. Carbohydrates and fiber: Examples are the beta-glucans of medicinal mushrooms (reishi, maitake, shiitake …), or fibers such as glucomannan that is extracted from the konjac root, or the mucilage extracted from the psyllium seeds. or flaxseed. Fats: Within this group, one of the most important for our health are the essential fatty acids provided by plants such as walnuts, chia, or GLA (gamma linolenic acid) of evening primrose and borage. We also find waxes (like those of jojoba) and lecithins (such as soy lecithin). Proteins: For example, carob tree has a high protein content. Minerals and vitamins: Nutritious principles of plants. When a plant has a high density of nutrients, they are used as a food supplement. An example is spirulina, used for its great wealth of vitamins. Essential oils: They are one of the most exploited resources of plants both for their therapeutic properties, as in aromatherapy, perfumery, natural cosmetics, etc. These are substances of a greasy nature (fat-soluble and oily in texture) and generally very volatile (strong odor). They are composed of terpenes and non-terpenoid substances. They should not be confused with vegetable oil. Polyphenols: Within this large group are found different phenolic compounds from the plant world, such as flavonoids and tannins. Alkaloids: They contain nitrogen in their structure, they are one of the compounds with more medicinal purposes and they have greater danger, due to their toxicity. Among the plants with alkaloids, we can point out: celandine, comfrey, opium poppy, lemon grass, boxwood, etc. 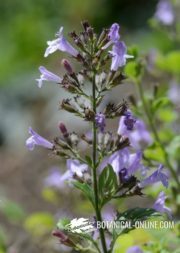 Bitter substances: Like iridoids, in plants such as valerian, verbena, or chasteberry. In other cases it may be sesquiterpene lactones, chemically formed by terpenoids attached to a lactonic ring. Arnica, chamomile, laurel and tansy contain these principles. Heterosides: Constituted by a carbohydrate linked to a non-glucidic substance (called aglycone or genin). An example are sennosides of senna, with laxative properties. 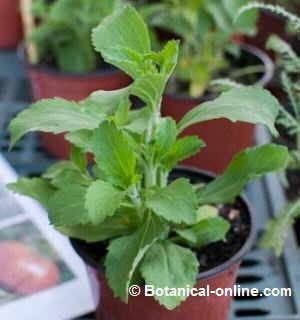 Heteroposic cyanogenetics: They are produced by enzymatic hydrolysis, by grinding an herb or chewing it. Examples: the glucosinolates of cruciferous vegetables; the pyrrhic acid of flax, or the amygdalin of the bitter almonds. Saponins: Its name derives from soap, due to its foaming capacity. Quinoa and horse chestnut are rich in saponins. More information on curative plants.